Wildgrass is a small, gated community located off Clark Road just about three miles east of Interstate 75. Its area is a soft spot for buyers of Sarasota homes for sale looking for quiet and laid-back neighborhoods but remains convenient to commercial and business centers as well as lifestyle hubs. This given that other strategic roads are nearby, such as the eastern extension of Bee Ridge Road just east of this community. Semi-custom home builder Neal Signature Homes developed this community in 2014. Occupying a 36-acre parcel, Wildgrass was platted with 47 home sites laid out in a triangular fashion around a lake. The verdant landscaping that buffer Wildgrass’s perimeter, plus the water views provided to all its homes, altogether give this community a refreshing natural environment. 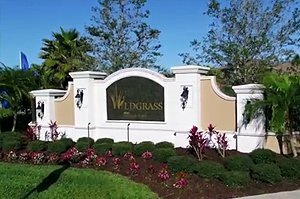 Lakewood Ranch-based Neal Signature Homes adopted a Mediterranean theme for Wildgrass homes for sale, some of which occupy half-acre lots. The homebuilder presented a collection of six floor plans for this community, with choices in one- and two-story models. These options range in floor areas from 2,266 to 3,346 square feet designed with three to four bedrooms, and all feature three-car garages. One of the popular choices amongst Wildgrass homes for sale is Neal’s four-bedroom, four-bath Costa Mesa which has the most spacious floor plan measuring 3,446 square feet. This model was showcased in the 2017 Manatee Sarasota Parade of Homes, and it bagged several citations along with several other Neal entries. Its awards included best in curb appeal, floor plan and kitchen. It carries a tag price in the $600s in the 2016–2017 listings of Sarasota homes for sale. 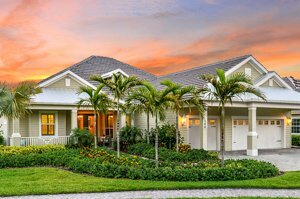 Sales in Wildgrass have been brisk, in tempo with the vibrant Southwest Florida real estate market. Just a single residence is listed in the MLS of Sarasota homes for sale as of the 2017 fourth quarter, but prospective buyers can still watch out for opportunities on resale properties. Besides their superior quality and superb setting, Wildgrass homes for sale draw buying interest from their fine neighborhood. Just east of this community are the sprawling estate homes of Timberland and equally impressive dwellings in the golf community of Gator Creek. 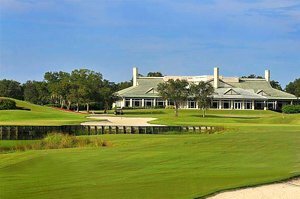 A membership at the 230-acre Gator Creek Golf Club is a coveted privilege as well. This club is limited to just 250 equity members, and hence, its links and facilities aren’t as crowded as the local public courses. Other private golf clubs—Misty Creek and Heritage Oaks—are also located just north of the Wildgrass residences. Local sports aficionados further draw their thrill from Twin Lakes Park on Clark Road as short distance west of the Wildgrass homes for sale. This 123-acre park is a host to the spring training camp of the Baltimore Orioles and provides a large picnic pavilion as well for local community events. Other amenities and points of interest near Wildgrass include shops and restaurants west on Clark Road where a healthcare center is also located. This area also teems with neighborhoods popular as “bedroom communities” whose residents are drawn by the excellent schools in the locality. Below are the current real estate listings available at Wildgrass.